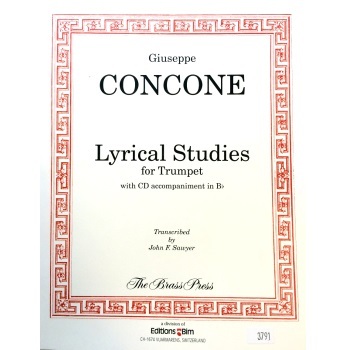 The Lyrical Studies by the famous 19th century Italian vocal coach Giuseppe Concone, selected and adapted for trumpet by John Sawyer, were designed to develop musical phrasing and breath control. Published by The Brass Press. A CD of original accompaniments composed by Robert Gulya is included (designed for trumpet in Bb).